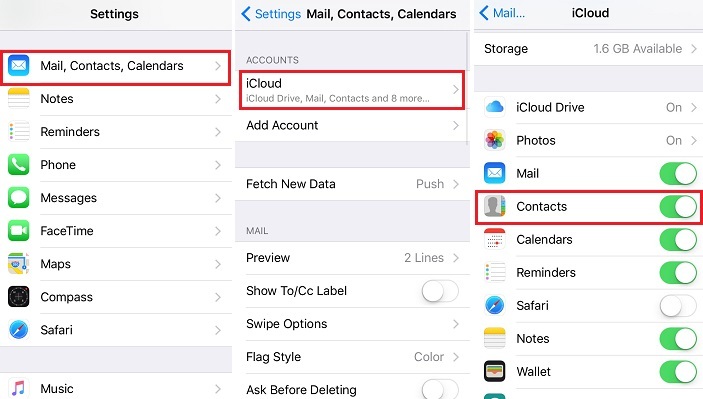 Do you need to transfer your contacts from one iPhone to another? This is actually more common of a problem than you think. You might need to transfer contacts from iPhone to iPhone because you are selling your device and upgrading to a new one, or because you are borrowing someone else’s for a time. It could also be that you have two devices and you want to sync them up for whatever reason. Regardless, this is a task that is actually handled quite gracefully by third-party applications. Here are some of the easier methods to transfer contacts from iPhone to iPhone/iPad. In case you didn’t know, iMyFone TunesMate is an application that allows you to interface with your iPhone using your computer. It has tons of different functionalities, but one of its most useful ones is its ability to help you transfer data from one iPhone to another. Launch TunesMate, then connect your devices with computer. Choose the source iPhone from which you want to transfer contacts. Tap “Contacts” on the left. Select the contacts you want to transfer on the right and click “Import/Export” and choose your other iPhone. You can transfer your contacts to your PC and store them there. You can transfer your contacts to your iPad or other iOS device as well. You can easily delete duplicate contacts in bulk instead of one by one. 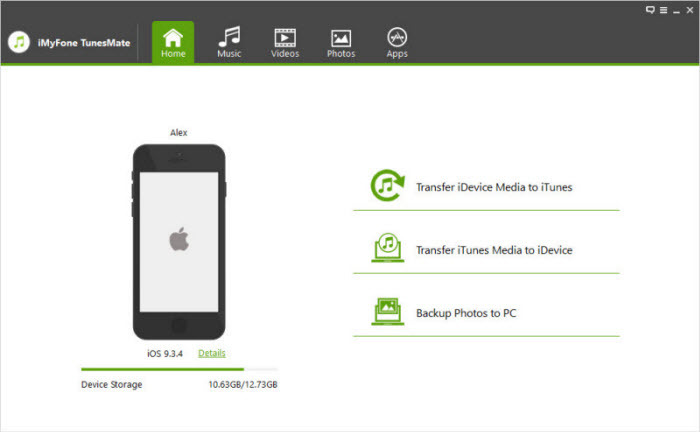 You can transfer your contacts both to your PC, iTunes library and to other devices easily. Just a few clicks and you will have your contacts where you need them. You can share your contacts amongst many different iOS devices. This means that you’re not restricted to backing up your contacts on only one device and you will always have them within arm’s reach. TunesMate has a lot of other functionalities, such as the ability to transfer media files as well. In fact, you can transfer just about any sort of file using this program. This application is simple to use, even for people who are not very computer literate. If you have trouble using iTunes because it is too bloated or simply is not user-friendly enough, then TunesMate may be exactly what you need. As you can see, this is a very versatile program. Step 1: Open up iTunes. Step 2: Plug in your device. Step 3: Click on “Device” tab, click “Summary”, click “This Computer”, and then hit “Back Up Now”. Step 4: Click on “Device” tab, click “Summary”, click “This Computer”, and then hit “Back Up Now”. 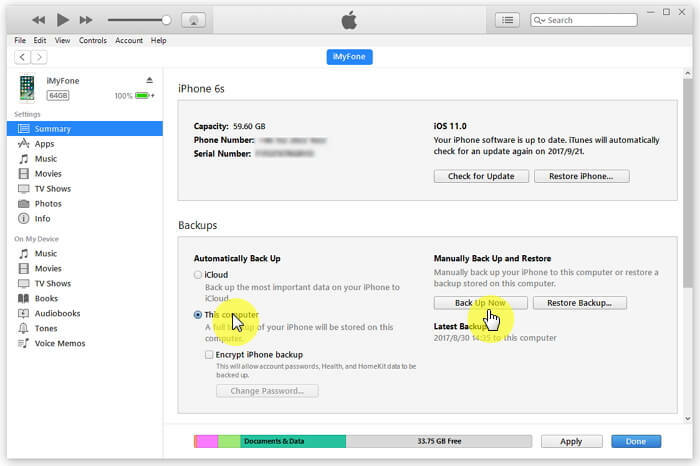 Step 5: Go to “Device”, then “Summary”, then “Restore Backup”. Confirm. As you can see, this really isn’t ideal because you’re not just transferring your contacts, you’re transferring all your data and erasing everything on the second device. It’s much better to use a program like TunesMate because you can pick and choose what you want to transfer more easily. Step 1: Go on your first device. Step 2: Go to “Settings”, then “iCloud”, then “Contacts”. Step 3: Turn this functionality on if it wasn’t. Step 4: Go on your second device and make sure it log in with the same iCloud account. Step 5: Go to “Settings”, then “iCloud”, then “Contacts”. Step 6: Select “Merge”. This should merge your contacts together on both devices. Again, this method has its limited. For one, both of your devices need to be connected to the Internet and need to use the same Apple ID. On top of that, you can’t pick and choose what contacts you want to transfer, and you just have to do them all. Luckily, iMyFone TunesMate is a great alternative and it gives you a lot of control. You can decide exactly what contacts you want to transfer and can even edit them right there in the program. Check it out if you ever need to transfer your contacts from iPhone to iPhone/iPad.